Here at Bayside Dental Centre, we offer a reduced rate combined package to have the full procedure carried out at our practice. 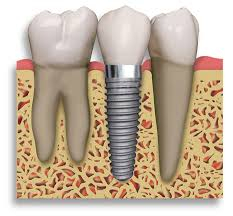 Our experienced dentist who specialises in surgical implant placement comes in once a month. You can read about Dr Saud Ibrahim on our Meet The Team page. Our principle dentist Dr Zena Bayan can then carry out the restorative part of the procedure.